Australia fought back in the final session after Pakistan's batsmen made them toil on the second day of the first Test at the Dubai International Cricket Stadium on Monday, October 8. Another day, another clinical performance by the Pakistan team, with the hosts posting a massive 482, thanks to a hundred from Haris Sohail and an Asad Shafiq fifty. Australia picked up one wicket in each of the first two sessions and fought back in the final session by picking up the remaining five wickets. Only 13 overs were bowled in Australia's innings as the openers posted 30/0 on the scoreboard, ending the day trailing by 452. Usman Khawaja (17 not out) and Aaron Finch (13 not out) are the batsmen at the crease, and the Pakistan bowlers will look to do some damage early on Tuesday. Earlier, Pakistan resumed the day on 255/3, with Sohail unbeaten on 15 and nightwatchman Mohammad Abbas keeping him company. The hosts started the day by losing Abbas early for one, his overnight score, an accurate Peter Siddle delivery hiting the top of the off stump. Sohail was then joined by Asad Shafiq and both the batsmen then stayed firm at the crease. Australia's bowlers found it difficult to break the Sohail-Shafiq partnership. Tim Paine, the Australia captain, had the pacers bowl from one end with Nathan Lyon bowling lengthy spells from the other, but nothing seemed to work for the visitors as the Pakistan duo added 150 runs for the fourth wicket. Shafiq was the first among the two to bring up his fifty off 111 deliveries with a four towards the extra cover. Soon after, Sohail too brought up his half-century from 149 balls. 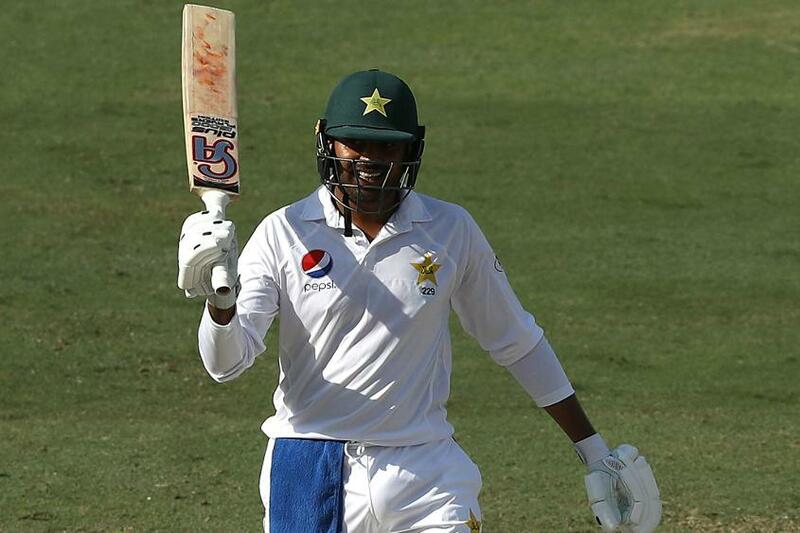 Both the batsmen led the Pakistan charge and lifted their side to 410/5 before Shafiq was caught behind the stumps by Paine off Marnus Labuschagne, the debutant, right before tea. In the evening session, the Paine and Labuschagne pair also got involved in another dismissal as they successfully ran Babar Azam out for just 12. Sohail continued to lead from the front by bringing up his maiden Test hundred. He went on to score 110 before Lyon had him caught by the keeper. The batsman's 240-ball innings featured eight fours and two sixes. A timely run out of Sarfraz Ahmed (15 from 28) by Aaron Finch further reduced Pakistan to 470/8. The next over saw Siddle bowling Pakistan debutant Bilal Asif for 12. Starc finally wrapped up the Pakistan innings by taking his first wicket in the form of Yasir Shah, who fell for 3, while Wahab Riaz remained unbeaten on 7. 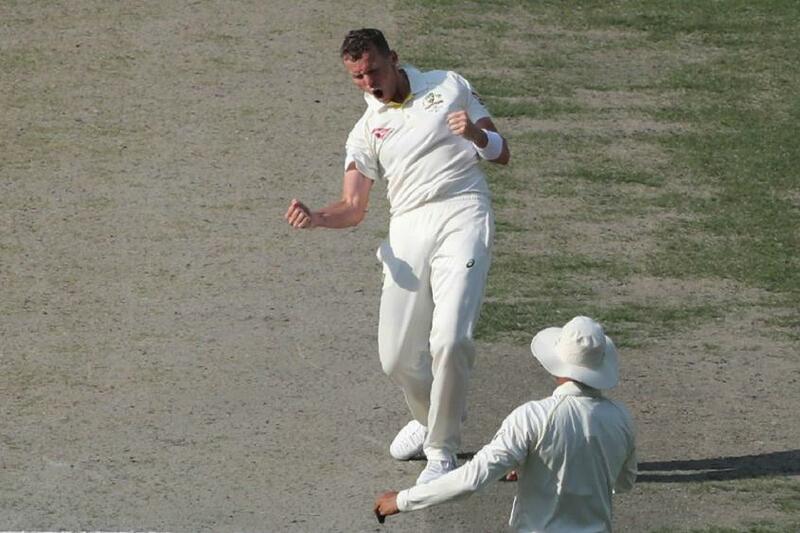 Siddle was the pick of the bowlers, returning figures of 3/58 from 29 overs.